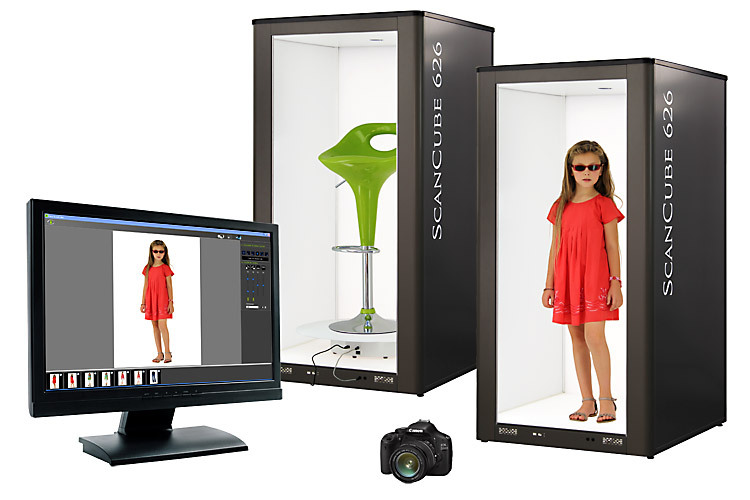 The mini studio ScanCube 626 includes a 626 photo booth, its accessories and the Easy-ScanCube software. The e-360 version includes additionally a synchronized turntable to make 360° animations and videos. * The maximum dimensions listed here for products that may be photographed in 626 photo booths are given as estimates; depending on the shape of the object, the dimensions may be bigger or smaller. For your convenience, it is recommended to allow 3 to 5 centimeters extra room. The back and the floor of the 626 photo booth are equipped with computer-assisted backlighting. This exclusive, energy-saving LED technology allows for pure white backdrops. Modulation is done by the Easy-ScanCube software and its presetting library. The incorporated color pipette allows you to verify that the background is perfectly white (r=255, g=255, b=255). The 626 photo booth is rock solid; it is made entirely out of aluminum, and durable components used in aviation technology such as aluminum honeycomb panels. The 626 photo booth is equipped in front with two 24V sockets to supply options such as the turntable or lighting elements. 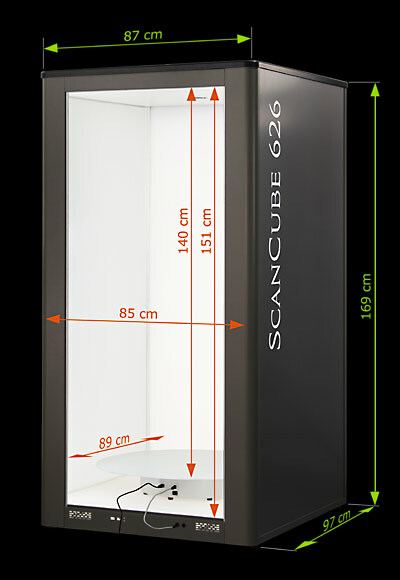 ScanCube 626 studio components: 1 Easy-ScanCube software, 1 626 photo booth, 1 tripod, 4 tested compact neon lamps, 1 3m USB2 cable, 1 2m extension USB2 cable,1 3m 220V power cable. 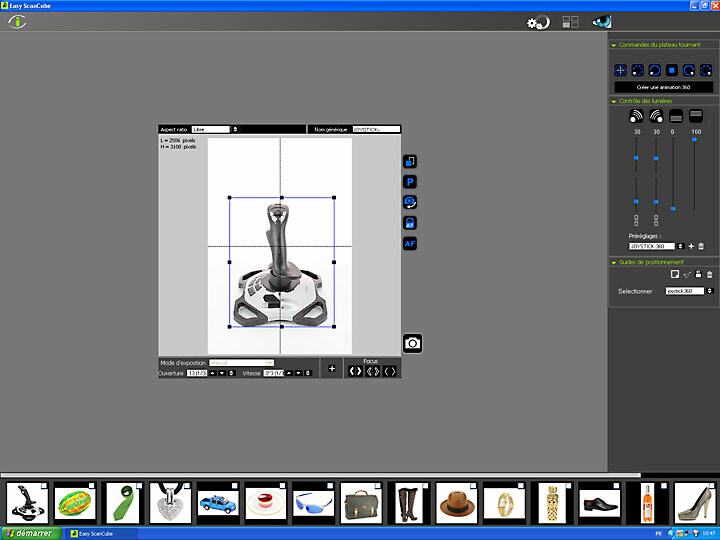 ScanCube 626 e-360 studio components: 1 Easy-ScanCube software, 1 e-view360 M1 turntable, 1 626 photo booth, 1 tripod, 4 tested compact neon lamps, 2 3m USB2 cables, 1 2m extension USB2 cable, 1 3m 220V power cable, 1 24V power cable.